Nov 7 The Long View: 7 Wonders, Expansions, and Duel with the Hexagamers! The Hexagamers are here to talk about one of their favorite games, 7 Wonders. What makes this drafting classic so appealing? How is it that its 2 player spin-off, 7 Wonders Duel, is one of the highest rated games of all time on boardgamegeek.com? Whitney and Wes are here with hosts TC and Joe to answer these and other biting questions in the Long View of 7 Wonders! Thanks to our sponsor www.gamesurplus.com for their continued support of the show. Go and check out how Elaine and Carmen are bringing the world of board games to youl! Thanks as well to Punchboard Media! 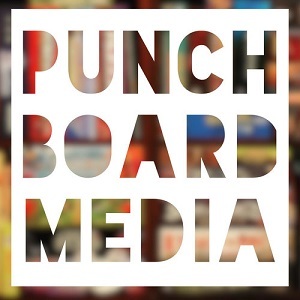 Check out a wealth of excellent board game media at www.punchboardmedia.com Thanks, of course, to YOU for listening! The episode can be found here on Youtube in raw live form or once finished through iTunes and Stitcher. Oct 9 The Long View: 1824 and 1837 with the Dual Gauge Podcast!